Available this week is this new high end receiver from our favourite surround receiver brand. Denon are extremely proud of the quality of their surround amplifiers and their engineers go to some lengths to show off the relative virtues of their particular receivers versus that of their immediate competition. Herewith a few images from the recent Denon dealer meeting wherin we got to have an intimate look at the new 10 series. 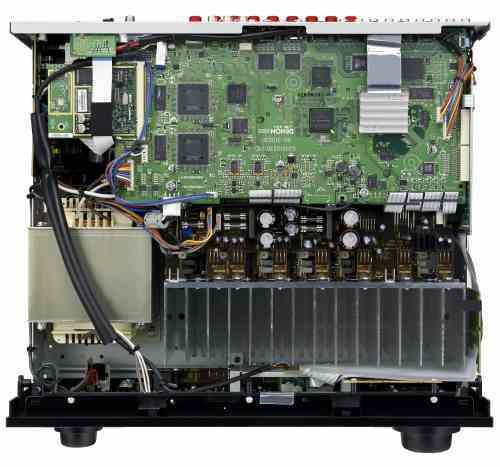 These are actually the amplification module and overall interior of the AVR4310 showing the exemplary construction qualities of this brand's Surround Receivers. 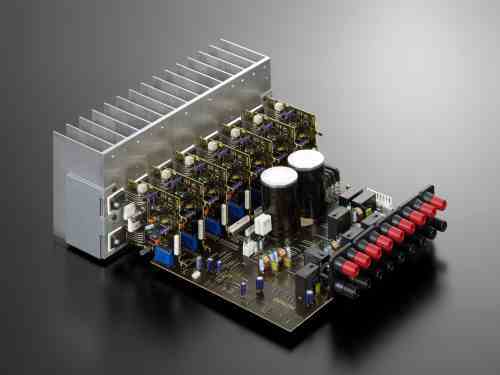 Note the fully discrete x 7 channels of amplification and the fully separated internal construction of the unit. This is the much anticapated upgrade of the AVR3808 that has been one of Rab's favourite surround amp for ages ... it incorporates the new Denon link 4th edition that works in conjunction with the HDMI connection of a similiarly equipped source to reclock the digital signal beetween the two devices. Denon official specification chart on the AVR4310.